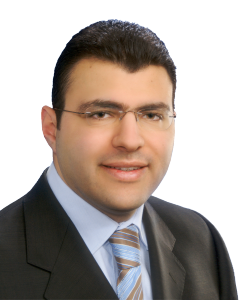 Dr. Joseph Antoun is the co-Director of the Center for Health Policy at the University of Chicago, Harris School of Public Policy Studies, where he teaches comparative health systems, pharmaceutical policy and leadership & negotiations in healthcare. Dr. Antoun is also the CEO of Health System Reform S.A.L., a boutique consulting and training company aimed at improving Public Health through Health Policy reform, strengthened health system management and improved healthcare delivery. He is also a Professor of Health and Pharmaceutical policy at the Buck Institute for Research on Aging and a visiting fellow at the Department of Social Policy at the London School of Economics and Political Science. Dr. Antoun is the co-Editor in Chief of the Journal of Health Systems Reform. This first-in-class journal aims at creating a global platform for sharing cutting edge knowledge, skills and lessons in health systems and reform and at providing health policy transfer and translation answers that matter for field leaders, academicians and students. His recent research, teaching and publications focused on Health Systems and Systems Reform, on Leadership and New Public Management in healthcare, and on increasing Access to Medicines and healthcare technologies. Dr. Antoun has a Masters’ in Public Policy from Harvard University and has studied Public Health, majoring in Health System Financing and Management, at Johns Hopkins University. He obtained his Doctorate in Medicine and Masters’ in Medical and Biological Sciences from Saint Joseph University. Every week, our team gathers the best research that new medical science has to offer for the treatment and prevention of some of the world's deadliest and most common diseases. Sign up for our weekly newsletter and learn how you can join the growing community of citizens who believe that diseases like cancer and Alzheimer's can be stopped once and for all.